The Honda Accord is a visually appealing, versatile ride that caters to your on-road comfort. Don't miss your chance to buy or lease an Accord today! Cruise the streets behind the wheel of a stylish ride that offers aggressive performance specifications and comforting amenities, find a new Honda Civic today! The Honda CR-V brims with style while blending safety with sophistication and luxury. Have all your expectations exceeded, test drive a CR-V now! Whether you're dropping the kids off at school or arriving to a work meeting, the Honda Odyssey is a driver-friendly priced option that shouldn't be missed. 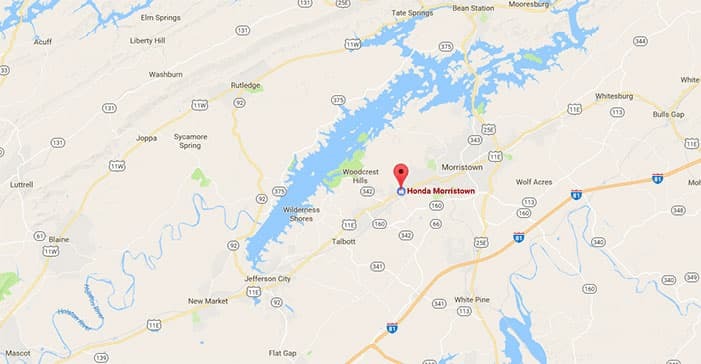 Honda Morristown is a new and used Honda dealership that first opened its doors in 1976 and continues to provide for the auto needs of Morristown, Tennessee to this day. When you shop at our conveniently located dealership for your next Honda Accord, you help support the community as well, because Honda Morristown supports many local organizations, such as the Food on Foot Foundation and the East Tennessee Technology Associates Golf Tournament! We invite you over to learn about the Honda Morristown Difference today and to see why we have earned an A+ from the Better Business Bureau for yourself! Our Honda dealership near Jefferson City, TN offers a complete car buying experience. We'll introduce you to the Honda Civic Sedan family, review your financing options even if you have a less than ideal credit score, and will get you behind the wheel for an inspiring test drive! Our helpfulness doesn't end there; our on-site Honda service department will cater to your Honda CR-V's maintenance and repair needs, ensuring the two of you can comfortably enjoy the open road for many years to come. Don't let a sleek new Honda Odyssey slip through your fingers, make your way over to Honda Morristown today or shop our competitively priced inventory online now! 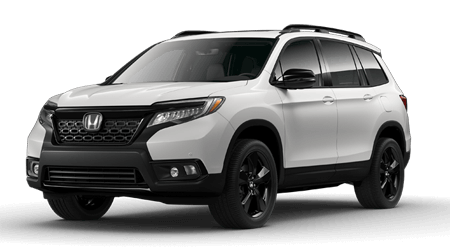 Slide behind the wheel of a brand new Honda CR-V and explore the amenities that come with this competitively priced option, browse Honda Morristown's new Honda inventory today! Our team will review all the specifications of the trim model you're interested in as well as your Honda Care options before getting you set up for a thrilling test drive. Eager to find a new Accord? Browse our selections online now! If you're looking to secure a new Honda Odyssey but need a little financial assistance to do so, visit our Honda finance department today! We'll tailor a loan package that complements your needs, taking your background and budget into account. Get a head start on the Honda financing process by completing a secure credit application online now! From no credit scores to less than perfect or pristine ones, Honda Morristown is here for you! Before you start a repair on your Honda Accord, be sure to visit Honda Morristown's parts department! Our genuine OEM inventory is fully stocked, competitively priced and ready to be explored, so drop by our Morristown, TN location now! Our new and used Honda dealership is all about catering to the needs of our customers; that's why we offer a secure online form that enables you to order Honda parts and accessories from the comfort of your home! 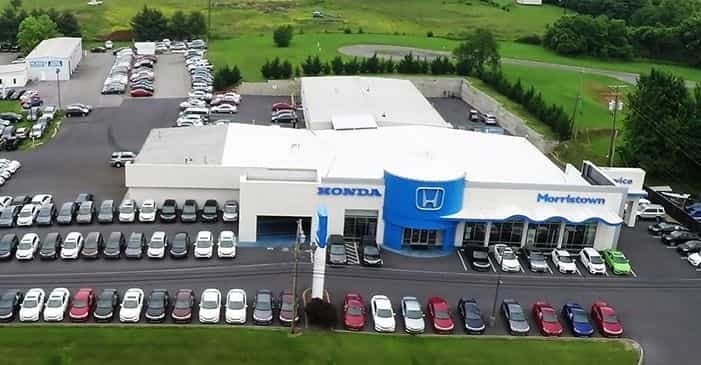 Our Honda dealership in Morristown, TN is packed with stylish used car options to explore, so make your way over from Rogersville today! Our helpful Honda team can value your trade-in, introducing you to some impressive upgrade options that boast like-new quality. Our Trade-In Guarantee states we'll buy even if you don't, and thanks to our Love It or Leave It five-day exchange policy, you can shop with total confidence! Our Honda service department employs factory-trained technicians and boasts upfront pricing, so don't hesitate to schedule your Honda Civic service now! We offer practical specials that enable you to keep up with the recommended maintenance plan and thanks to our ASE certifications, we can work on a variety of makes and models. Give your car the much-needed attention it deserves, visit Honda Morristown near Jefferson City, TN today! Explore our user-friendly Honda website right now to gain valuable research insight, shop for new or used vehicles or to learn about our employment opportunities! Our knowledgeable Honda associates are standing by, eager to share our wealth of information with you, so don't hesitate to contact Honda Morristown in Morristown, TN with any and all questions! We look forward to assisting with your Honda needs soon.